← Today’s Watercolor: Happy Halloween! Today’s Watercolor is so silly! Combined a request for Darkwing Duck with a request for Farfetch’d, the silly duck Pokemon that always carries a leek around. The story is that he’s based on the Japanese proverb “鴨が葱を背負って来” or “A duck comes bearing green onions.” It can be shortened to”Kamonegi” or the name of this particular little guy, and it can be used to refer to something surprising but convenient. Yay, requests! I love requests! 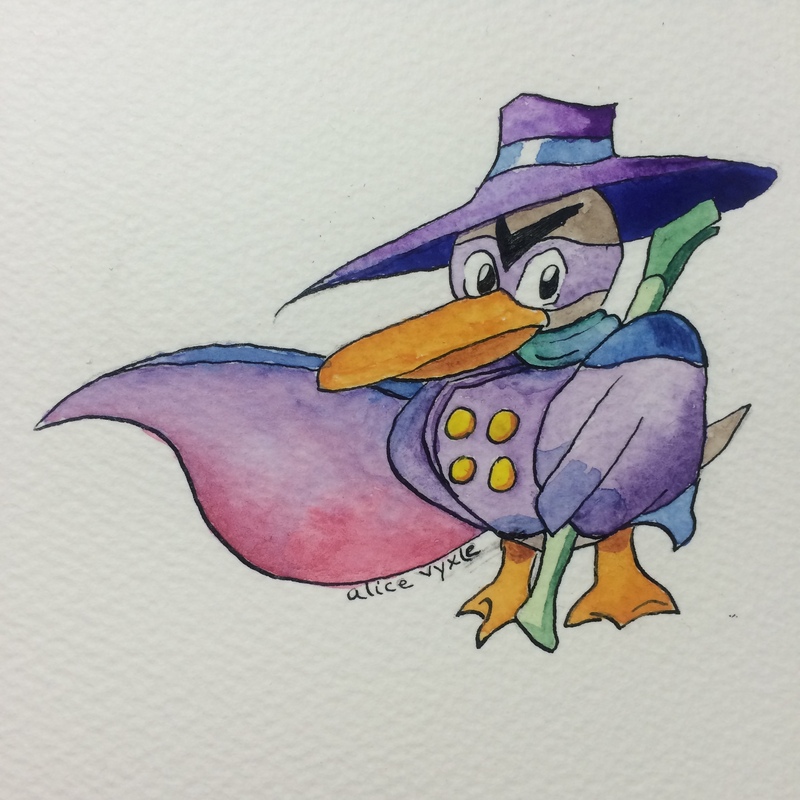 This entry was posted in Art and tagged Art, darkwing duck, duck, farfetch'd, farfetched, I painted this, kamonegi, my art, Pokemon, watercolor, watercolour. Bookmark the permalink. 5 Responses to Today’s Watercolor is so silly! That’s awesome. Art and cultural learning all in one!